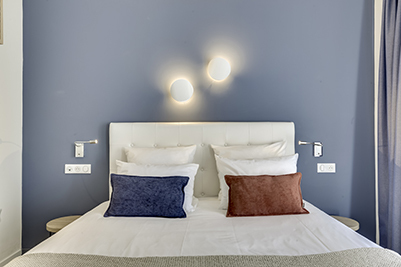 Perfectly designed for one person, our Single rooms offer all the comfort you need: New 120x200cm Simmons bedding for a good night’s sleep, air conditioning for hot summer nights, and free broadband wifi so you can enjoy internet access throughout your stay. Our 12m² Comfort rooms feature new Simmons bedding for a good night’s sleep, air conditioning for hot summer nights, and free broadband wifi (fibre) so you can enjoy internet access throughout your stay. Every detail has been designed for your comfort and wellbeing. 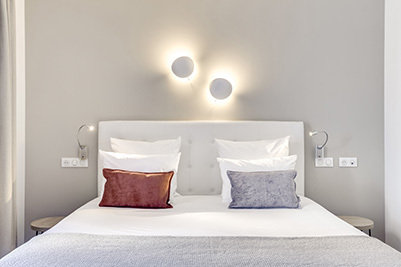 With their bright, elegant décor, our Superior rooms (13m²-16m²) offer a relaxing atmosphere on the doorstep of Paris. 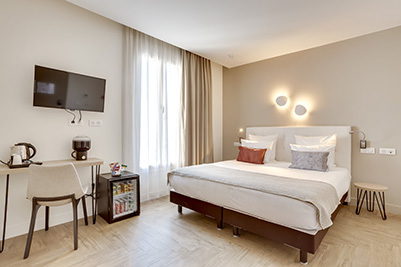 All Superior rooms provide all the comfort you need: New 160x200cm Simmons bedding, air conditioning and free broadband wifi. With their generous dimensions, our Family rooms can accommodate up to four guests in great comfort. Enjoy restful nights of sleep thanks to the new Simmons bedding and peaceful atmosphere. 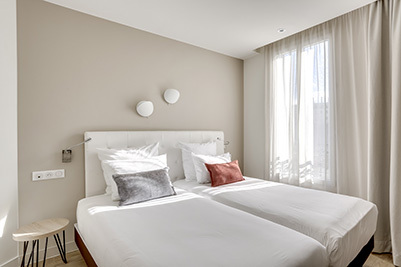 Perfect for a family holiday and just around the corner from La Défense and central Paris. 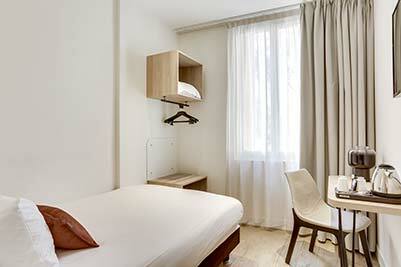 Discover the comfort of our Deluxe rooms (16m²-21m²) just around the corner from La Défense. These carefully decorated rooms all feature new 180x200cm Simmons bedding, air conditioning, broadband wifi and a safe. Enjoy a Nespresso machine and an all-inclusive mini bar.